America Recovered reveals the point where abstract political processes manifest themselves in the physical world, thus providing an alternate means of experiencing the contemporary American landscape. Collectively, the images and essays show what aspects of our everyday lives are being assigned value in the promise of a recovered America. In 2009 President Obama signed the American Recovery and Reinvestment Act—known as the stimulus bill. Along with the bill, the administration launched Recovery.gov , a website “to foster greater accountability and transparency in the use of covered funds.” The now-defunct website served as a guide for photographer Chad Ress to document a variety of projects funded by the Recovery Act. America Recovered collects forty of Ress’s photographs along with essays by Jordan H. Carver and Miriam Paeslack that trace the historical, spatial, and political significance registered within the images. The two essays frame Ress’s project within a history of US American documentary and landscape photography and its implications for a generation’s relation to constructions of nationhood, progress, and recovery. America Recovered collects forty images that mark one of the only efforts to document the breadth of projects funded by the 2009 American Recovery and Reinvestment Act. Unlike the New Deal and other programs designed for employment and infrastructural development, the Recovery Act was passed without any funds dedicated for photographic documentation. Using an official government website as his guide, Chad Ress took photographs of projects across the country. 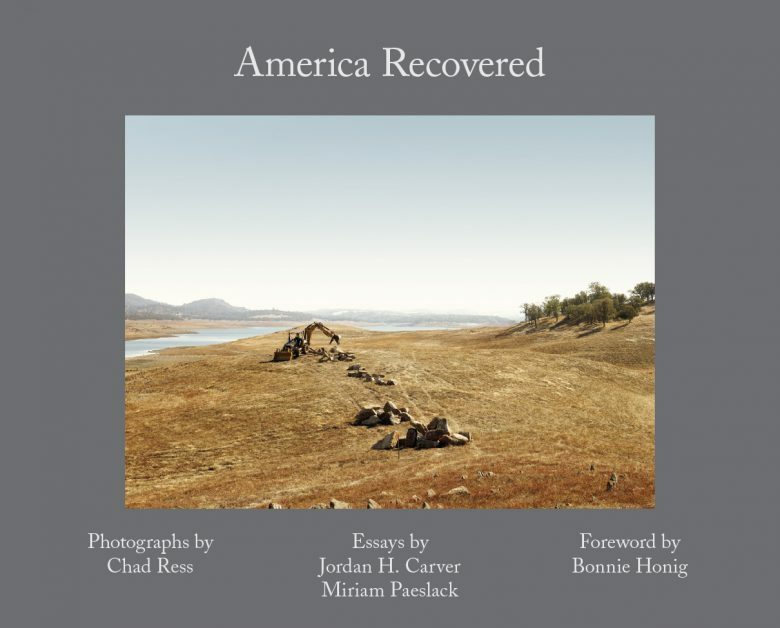 The publication of America Recovered at this moment allows for a critical reassessment of the Act and its lasting impact on the American landscape. The two essays by architectural writer Jordan H. Carver and photography historian Miriam Paeslack situate Ress’s photographs within broader discourses of urbanism, infrastructure, and politics. The question of what role the government should play in everyday life remains one of the touchstone issues in American politics. The photographs and essays ask a different set of questions, not whether government spending is good or bad, whether it worked or didn’t, but what, exactly does government spending look like. 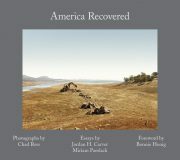 And importantly, America Recovered asks how government spending and civic identity are constructed around place. Size: 6.50 x 9 in. / 16.5 x 23.5 cm.